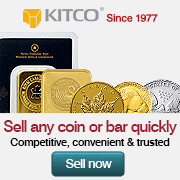 Kitco actively buys and sells popular New Zealand Mint coins and bullion products. 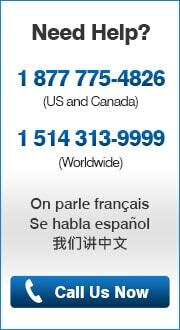 Why buy New Zealand Mint Bullion? The New Zealand Mint (NZ Mint) is one of the only privately owned bullion mints producing bullion coins and bars for various sovereign nations. The minters of the South Pacific, The New Zealand Mint ( NZ Mint ), designs and strikes many outstanding silver and gold coins which are usually issued in restricted mintages. The NZ Mint not only strikes official bullion coins for New Zealand but also other South Pacific nations like the Cook Islands, Niue, and Fiji. All NZ Mint struck bullion coins are assigned respective legal tender face values of the respective country for which they are minted. During the 2008 financial crisis, many bullion investors turned to NZ Mint silver coins and other New Zealand Mint gold bullion products. Silver coin series like the Hawksbill Turtle coin, Niue Turtle coin, and other commemorative coins have become very highly sought after by silver coin buyers. The NZ Mint has been minting legal tender bullion coins, collectible coins, gold bullion bars, and medallions for more than 50 years. The New Zealand Mint began in 1967 and is currently the only bullion mint in New Zealand. The NZ Mint was the first sovereign mints of the world to adopt a four .9999 standard for gold coin purity. The NZ Mint produces high quality bullion coins with beautiful designs and limited mintages. Kitco is an active buyer and seller of New Zealand bullion coins and other NZ Mint coins struck for respect South Pacific sovereign nations. 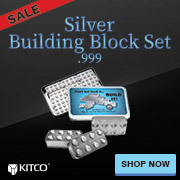 Want more information on how sell or buy silver?